What are the advantages of this new machine compared to the old models? The 3 movements are done at the same time so it is 3X more efficient. A session acts like 3 sessions of an old machine. Faster results: visible from the 3rd session. More comfort and palpate roll without pain thanks to improved movement of the treatment head. 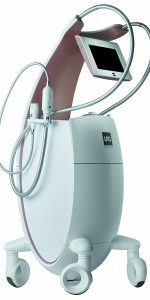 For whom are the Slimming sessions LPG endermology CELLU M6 addressed? 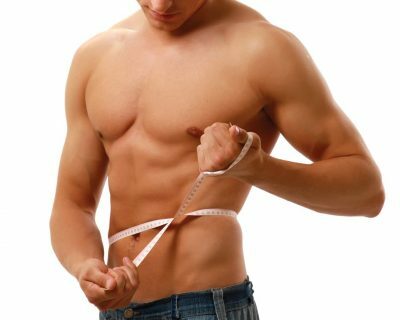 The slimming sessions LPG endermology are aimed at men and women, who wish to refine their body, reduce the appearance of orange peel (cellulite), to firm their skin. A LPG endermology session deals with 1 to 8 areas according to the program and the time of the session. How does the LPG endermology machine CELLU M6 work? The machine reproduces the mechanics of the palpate roll and the one with the new machine is more pleasant! It is associated with a mild aspiration which also activates the blood and lymphatic circulation, and better drain waste. How is a slimming session LPG endermology CELLU M6 held? During the first session, the beautician makes a personalized slimming assessment. Then you can put your LPG suit and the session starts. The combination: The endermo-wear LPG® is an exclusive technical outfit for deep seizure and optimal visibility of the tissues during endermology® care. What are the results of the LPG sessions of endermology CELLU M6? Sessions help activate blood and lymph circulation to help reduce water retention, drain toxins, reduce adipocytes (fat cells), stimulate fibroblasts (firmness cells). The skin looks smoother, younger and visibly firmer. Fats are detoxifying. The unsightly forms and the cellulite disappear as the sessions progressively take place. What are the prices of the sessions and cure LPG of endermology CELLU M6? How much does it cost ? The assessment is optional but advised. Your personal assessment includes the diagnosis of your skin and the program of sessions that will be most suitable for you. The endermowear LPG® is an exclusive technical garment for deep seizure and optimal visibility of the tissues during endermology® care. Each person is different. The results vary from one person to another and we cannot guarantee results. After this period, a credit is possible of the value of the unused sessions.